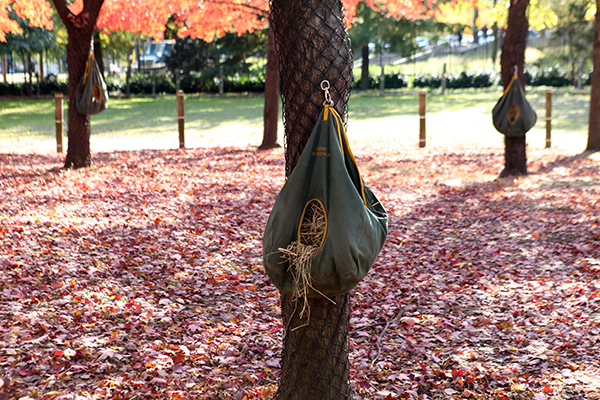 These are the Feed Bags that they strap to the trees at the Queens Zoo. Now that's what I call service! when we went to throw-up near the Choo-Choo train at the exit.